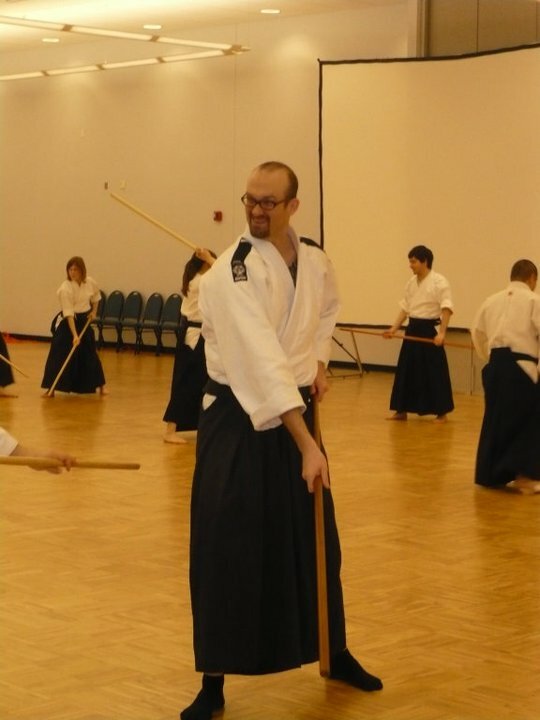 The way of the real sword, or Shinkendo, is a contemporary Japanese sword style using traditional techniques and methods from several different modern and ancient martial arts. The way of the real sword focuses on practical application of technique, Shinkendo uses aspects from many arts such as swift movements and responses from Kendo, intensive sparring from Yagu Shinkage ryu and Kashima Shin ryu, powerful strikes from Jigen ryu, swift and accurate tameshigiri from Ioriken Battojutsu, and fluid body movements from Aikido and Ryukyu Kobudo. 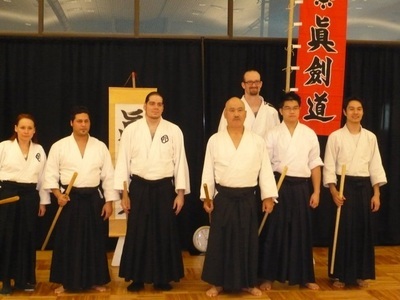 The core principles of Shinkendo focus on the Gorin Goho Gogyo (five aspects) of swordsmanship: sword swinging (suburi), drawing methods (battoho), solo forms (tanrengata), sparring (tachiuchi), and test cutting (tameshigiri). Shinkendo was created by Toshishiro Obata, a martial arts instructor for over 40 years with a samurai family lineage. Obata Kaiso (founder) started his martial arts studies as a seven year uchideshi in Yoshinkan Aikido under Gozo Shioda. During this time he became part of the Kidotai (riot police) instructional staff. Also during this time he expanded his sword work by cross training in several other arts, including the Yagu Shinkage ryu. Following his time as a deshi Obata became a member of the Tokyo Wakakoma (an elite group of stuntmen who also serve as fight scene choreographers for Japanese television and films), for which he was an instructor for several years. 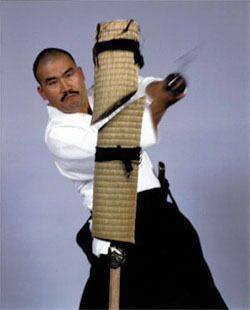 Obata had the opportunity to train with many high level budo instructors and learn many techniques from different bujutsu in order to authenticate scenes and stunt work. Some of these techniques included sojutsu (spear), various sword styles, and archery on horseback. You can try the first class for free. Please contact us if you are interested in visiting/trying a class. Please wear comfortable and weather appropriate clothing. Athletic wear and long pants are recommended. Students will normally be barefoot on the mats. Socks are not recommended as they can be slippery, but are accepted. No additional equipment is required to try.